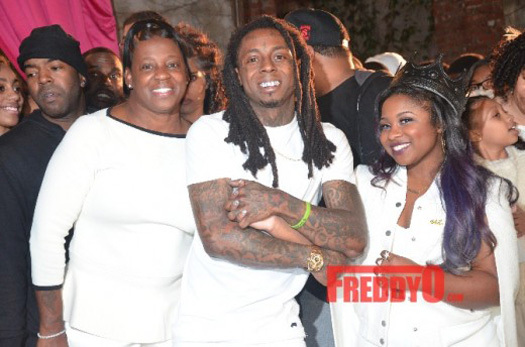 Lil Wayne and Toya Wright threw a Sweet 16 birthday party for their daughter Reginae Carter, who turned sixteen on November 29th. The birthday bash, which was based on a winter white theme, took place on Saturday in Atlanta, Georgia. For Nae‘s birthday gift, Weezy and Toya Wright bought her two luxury cars – a white Ferrari GTO and a red BMW X5. They also surprised her with live performances from Nicki Minaj, Rae Sremmurd, and We Are Toonz. Toya also mentioned that she had spent nearly $500,000 on this party! Other guests who attended this Sweet 16 bash included Dhea, Jacida Carter, Dwayne Carter III, Neal Carter, Birdman, T.I., Lil Twist, Sarah Vivan, Nivea, Mike WiLL Made It, and more. MTV are also set to show what went down at this party on a special episode of their My Super Sweet 16 show. You can view 40 more pictures from Reginae Carter‘s dream birthday bash below! We previously posted this Lloyd record back in March, but we now get the full mastered version! 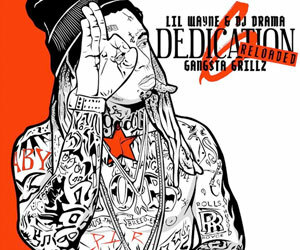 Unfortunately, Lil Wayne only narrates the song, but it does have a verse from Andre 3000. This track, which was produced by Polow Da Don, is titled “Dedication To My Ex (Miss That)” and will appear on Lloyd‘s upcoming King Of Hearts album dropping on July 5th. You can listen and download the record below, courtesy of YHTN. After the jump, you can watch a promo commercial for MTV2’s The DUB Magazine Project, which is a new show that will begin airing on July 10th. 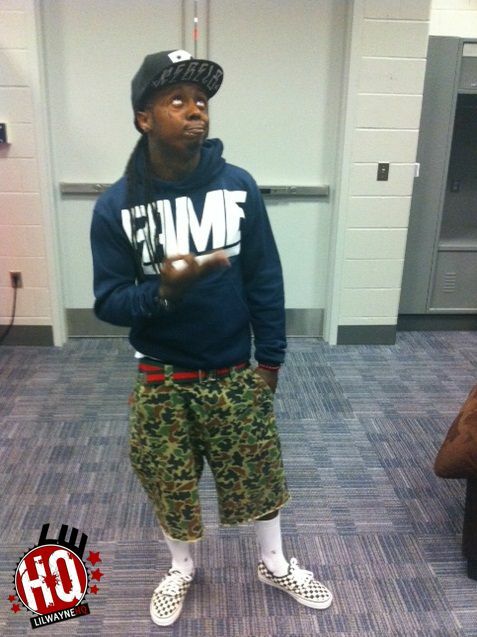 The show will basically interview rappers including Lil Weezy about cars, life and family. Wayne was literally riding the success of his 1999 debut album, with a brand-new Mercedes-Benz drop-top two-seater with a Kompressor engine. He said that many of the people in his neighborhood didn’t know such a car existed, and thought he’d had it made especially for him. But his good fortune did not end there, as he got a call from Cash Money label head Baby one evening, asking him to come to his house: ” ‘Yo shawty, come to the crib,’ ” Wayne recalled him saying. Wayne said he went to Baby’s house and was told to go to the back, where the tarp was taken off of a BMW two-seater, a gift from the label. 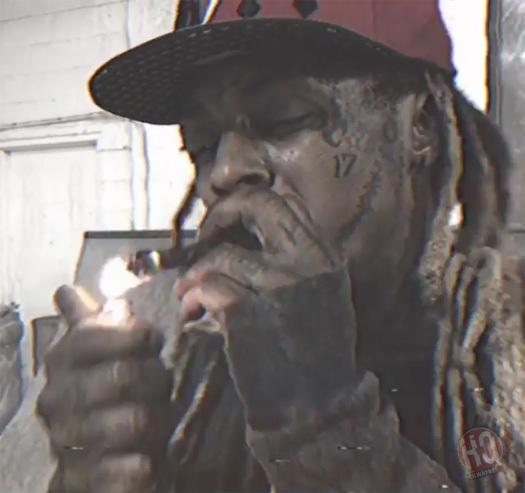 In the clip, Wayne also recalls that his mother ordered him to leave school. “My mom, she made quit,” he said. 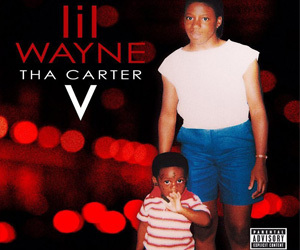 ” ‘Look, I’m going to let you quit school, but them b—-s better get you a tutor!’ ” Wayne said, mimicking his mother’s voice. He said he called up Baby to make it happen. ” ‘Yo B, my momma said I have to get me a tutor.’ I had the tutor the next day,” he recalled. ” ‘You gotta go at 9, shorty,’ ” Baby said. Later in the clip Wayne exits the studio area of his Miami mansion walking down a narrow hallway that has one of the walls adorned with a number of guitars. The kitchen area sitting just outside Wayne’s living room is surrounded by a pile of clothes and fitted baseball caps that sit neatly on the floor. “Clothes on the floor,” Wayne confirms to the camera. After a long day of work, Weezy sits comfortably in his living room watching a Boston Red Sox game on his flat-screen television with two of his pals. Props MTV who will have more footage from Lil Wayne and Scoob Doo‘s “The Nino Brown Story Part 2” this week!